Health is beauty, the kind that lasts through every phase of your life. And Tarzana Cosmetic Medspa nurtures that feeling with individually customized weight management programs, designed around your specific body type and lifestyle. Combining medical knowledge with years of experience, we offer meal replacements, FDA-cleared medications and specialized exercise routines. Because many causes of weight gain can be attributed to thyroid issues, hormonal imbalances, depression and anxiety, we address various medical and psychological conditions through a wide range of therapies prepared just for you. Schedule your appointment now to find out why people from Tarzana, Encino, Sherman Oaks, Woodland Hills, Calabasas and the entire San Fernando Valley prefer Tarzana Cosmetic MedSpa! 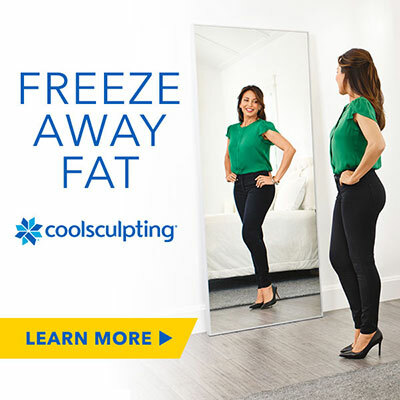 CoolSculpting is an FDA approved non-invasive fat reduction solution that targets and eliminates problemed areas. Finally get rid of the stubborn fat that doesn’t go away with diet and exercise, without the need for surgery or any downtime.